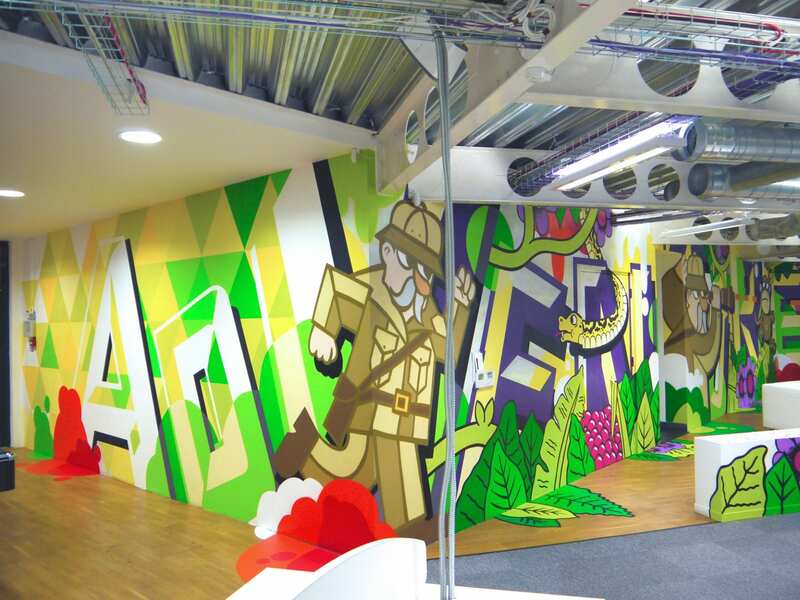 We recently refreshed the large office mural we created two years ago, for London event and exhibition design agency NeosCreative. 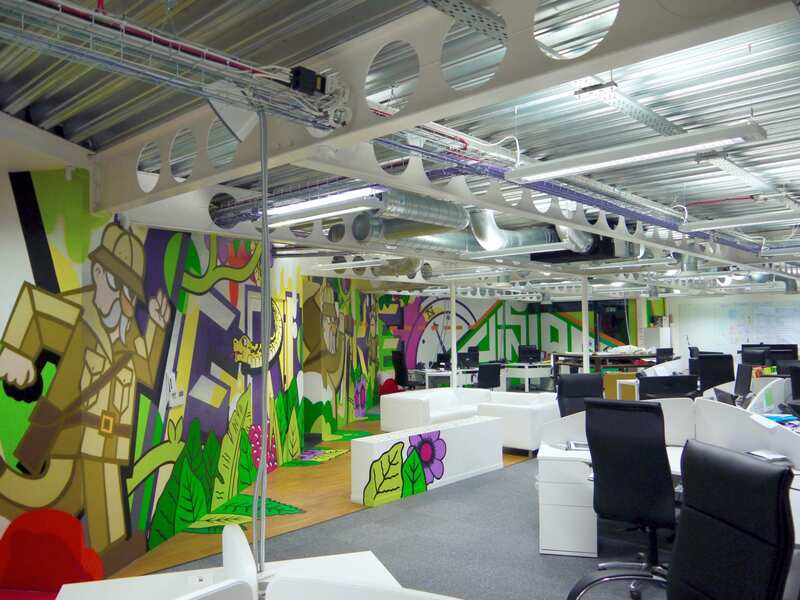 When we were originally commissioned part of the brief was to allow the mural to be updated without losing the key essence of the overall design. 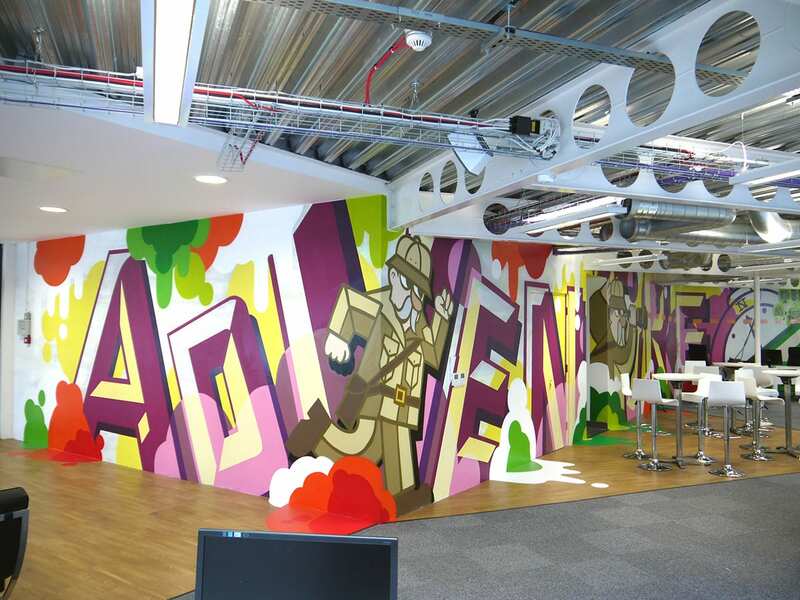 At the start of the mural, a triangle pattern was painted; the text changed to white with additional colour changes throughout. 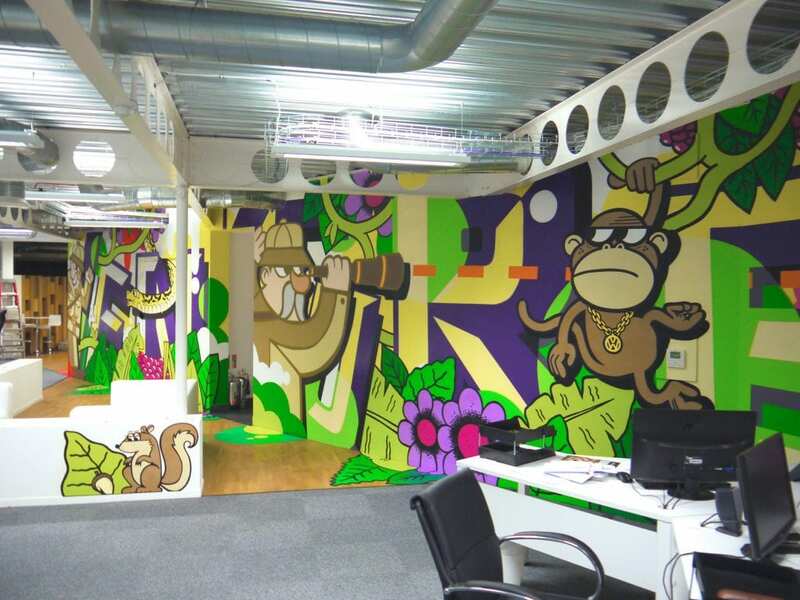 The refresh also introduced vibrant jungle foliage, a fun snake and a swinging monkey with attitude. 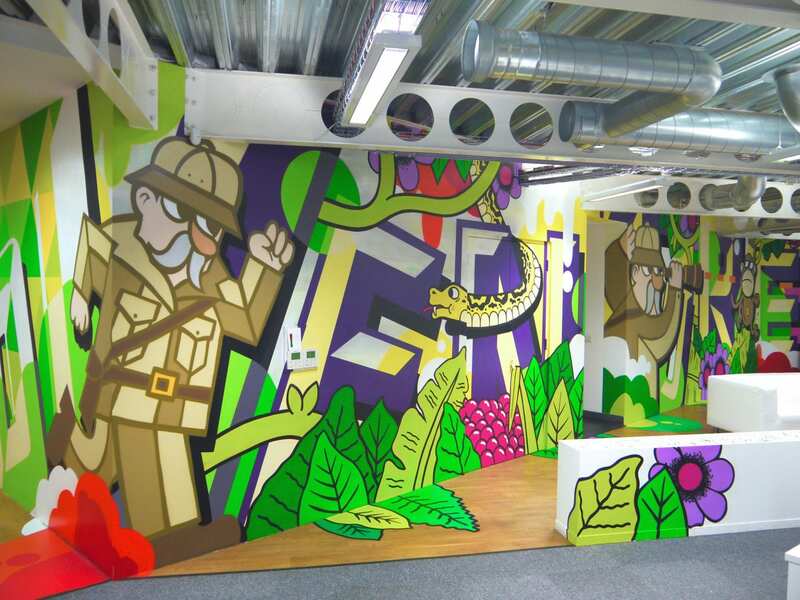 The changes made have allowed the design to mature organically, with Dr Mo the explorer making his way through his jungle adventure to the clear vision at the end. 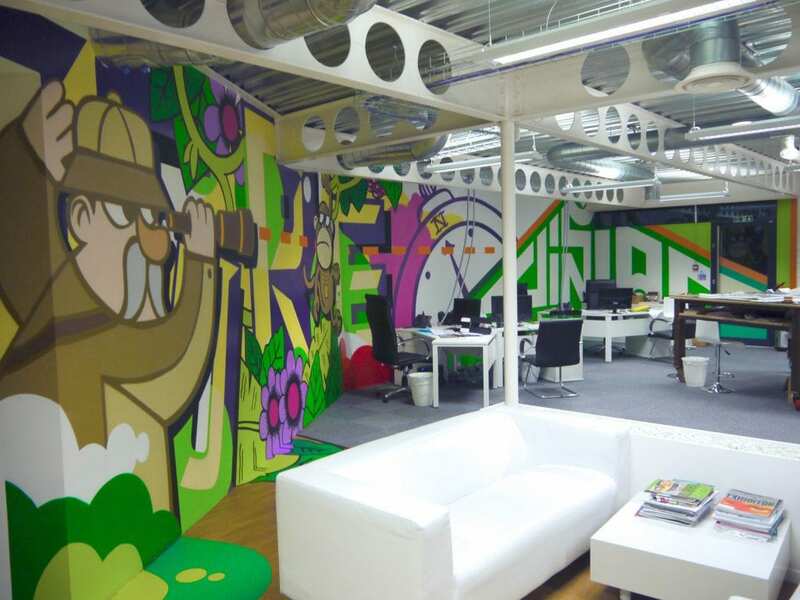 This project has been listed in Creative Blog’s 20 incredibly cool design office murals.